Just flicking through the TV channels and caught the episode of tonight's episode of The Bill - 'Suffer in Silence'. I'm guessing we'll be seeing other episodes over the next few months called 'Prolonging the Agony', 'Treading Water' and 'Someone Remember to Cancel the Milk'. Had the carriage been less congested, I'm sure his mintiness would have been accompanied by a mass raising of handbags. As it was, we all rolled our eyes, clutched the handrail and prayed it wouldn't last much longer. Oh look - special guest star on The Bill this week is Lee Ross. Looks like his character is a child abuse victim who's suffered in silence for some ti- oh... that might be the meaning of the title. 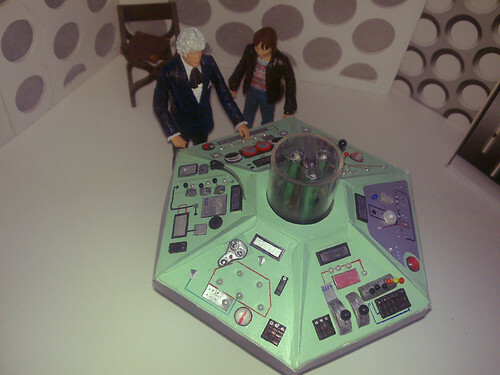 And a slight reworking of my Hartell Tardis control room sees the addition of a new console for Pertwee. I always wanted this - a set for my Doctor Who dollies - and what better set than the UNIT lab? 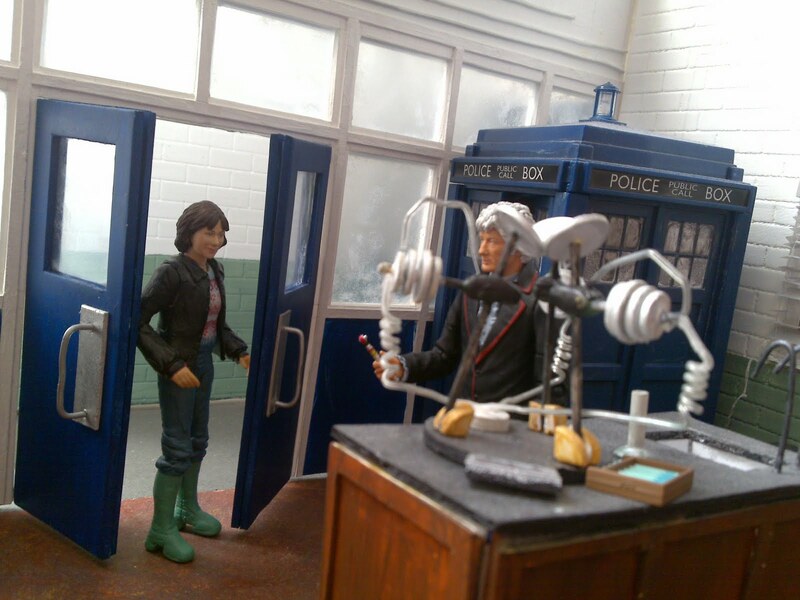 I'd originally wanted to do the lab as it appeared in season eight, but the spiral staircase put me off. 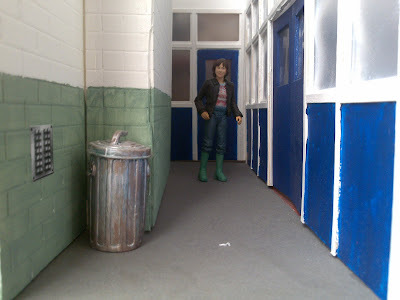 That and pressure from my chums made me go for the later lab, as it appeared in season 11. I could have gone for the lab from 'The Three Doctors', but it had too many windows. 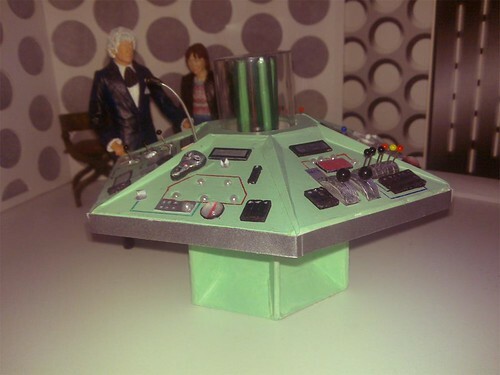 So I adapted the printouts that my pal Phil had made for his ActionFigureTheatre site to make it look like it did for Pertwee's final year. 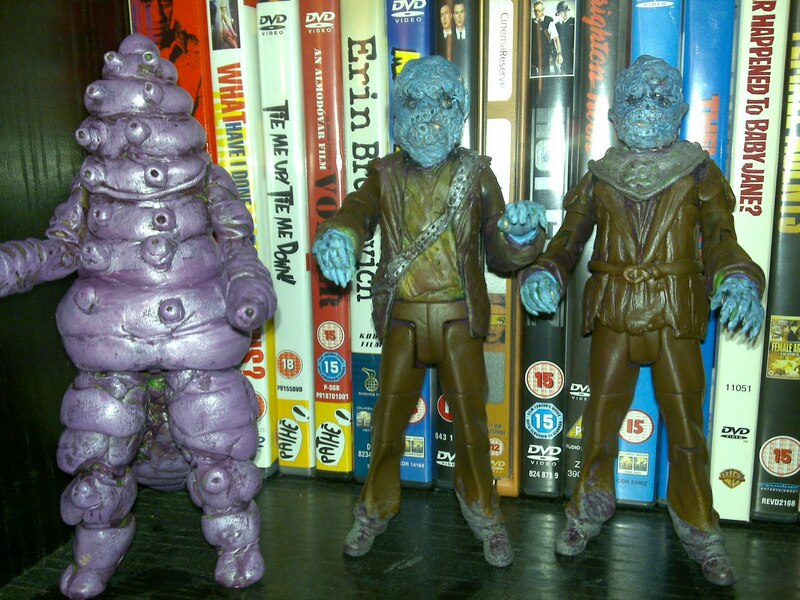 Also included in this set are my custom Sarah Jane, in her 'Monster of Peladon' outfit, and my custom Master, in his grey suit and gold tie. 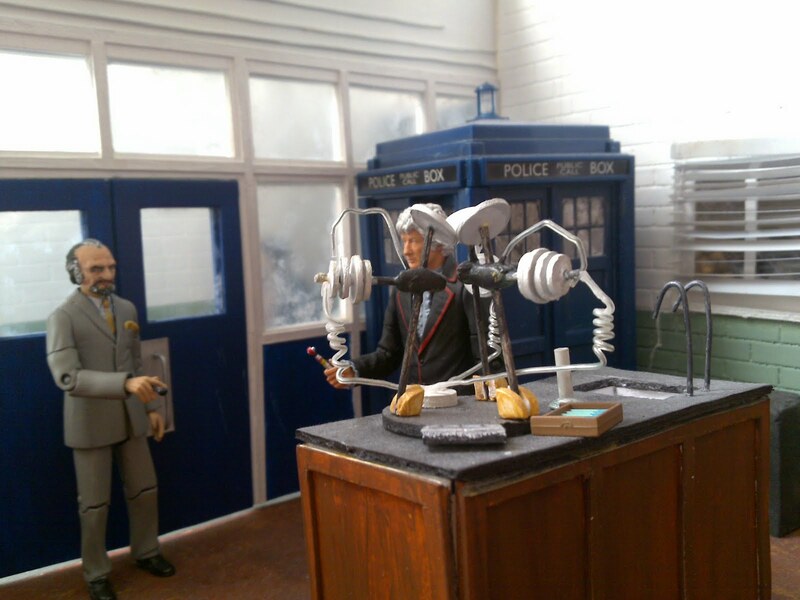 You might also be able to make out the welding device from 'Terror of the Autons'. 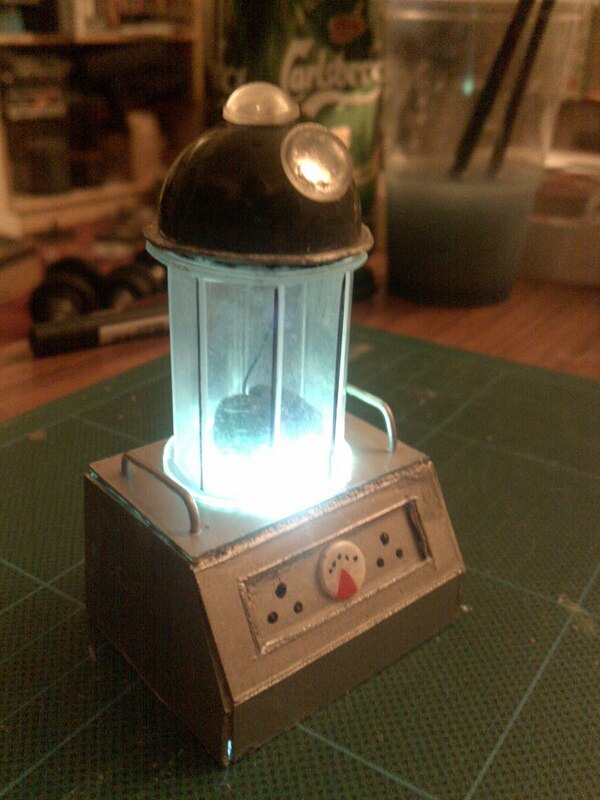 Oh, and the Tardis is a customised moneybox, repainted. That'll be replaced once I get the forthcoming classic Tardis from Character. 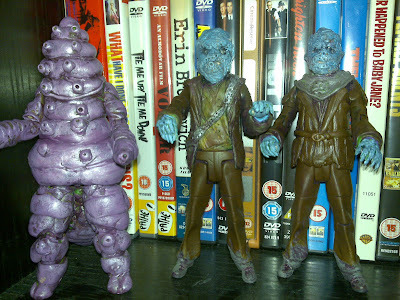 I haven't done this for a while, but prompted by Paul Cornell's blog, here's a few more monsters I've made recently. This one's a Blatherine from The Sarah Jane Adventures, which was a present for the author for the episode that they first appeared in. 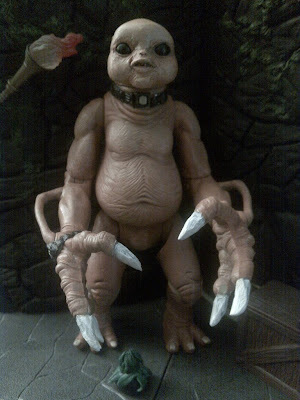 It's customised from a Slitheen figure, with shorter claws, a remolded face and a paint job. 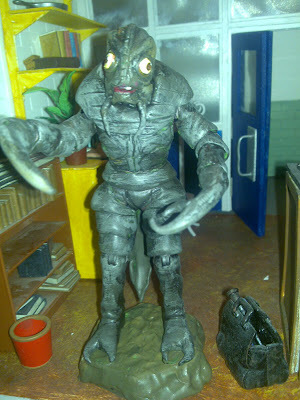 Next up, a Mutt from the Doctor Who story 'The Mutants' (1972). 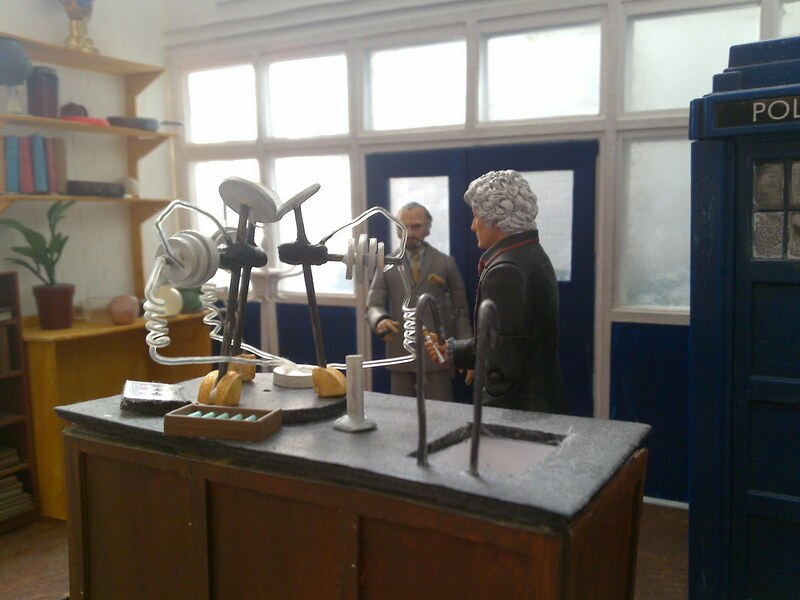 It's pictured in the UNIT lab set that I made. Ooh, there's a thought - I haven't put any pics of that up. That'll be in the next entry then. Inspired by the brilliant Babyjelly from OutpostWho / GallifreyBase fame, here's a muto from 'Genesis of the Daleks'. I decided I wanted to make a Navarino from 'Delta and the Bannermen', and then realised it had to be a present for my pal Neil, who always wanted to write a story called 'The Guns of Navarino'. 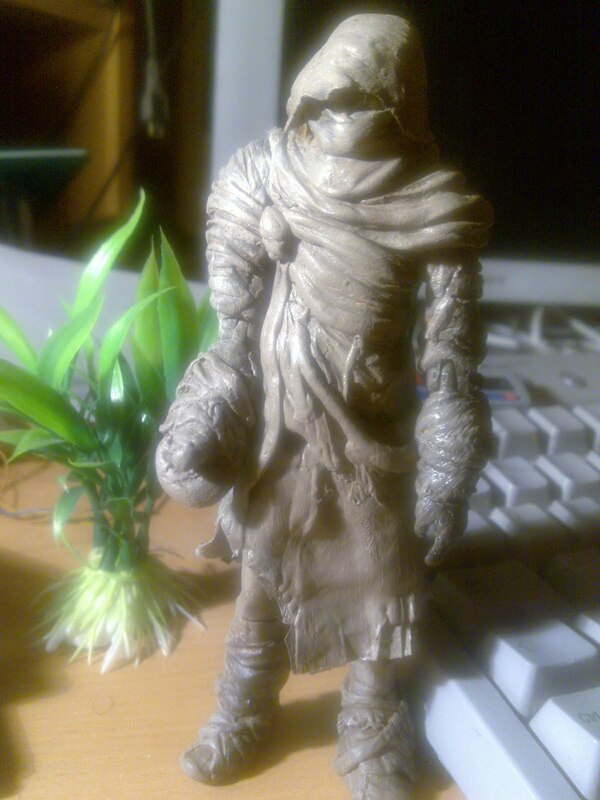 Next to it are two Haemovores from 'The Curse of Fenric'. And finally, in my quest to make more and more figures that will probably never be made by Character Options for the official range, here's the Keller Machine from 'The Mind of Evil'. It lights up an' evreefink! I'm in sunny Pollokshields with my beloved and, after a stress-free journey there yesterday afternoon, I decided we should have pizza for tea, because we'd both been very good and deserved a treat. A new pizzaria called Pizzahub (see what they did there) has a sign on the front saying 'Opening Soon', but not soon enough for us, sadly. So, we went to a multi-cultural venue round the corner, which offers kebabs and pizzas along with its curry selection. So, I asked what toppings they offered and the man behind the counter said they had a, um, chicken tikka pizza and, er, a minced lamb pizza, and, um, that's it. The man shook his head and looked at me blankly. Chowing down on the chicken tikka pizza back at the flat 15 minutes later, I asked my other half why they don't do any normal pizzas. No wonder the man looked at me blankly. Epic cultural fail!